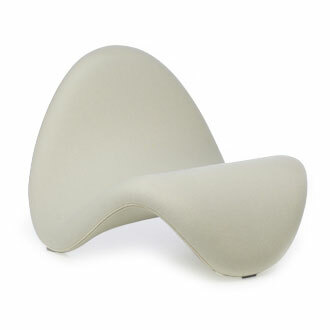 Foam upholstered shell, metal base. 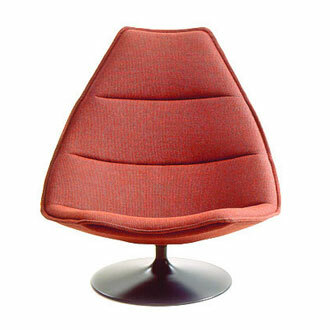 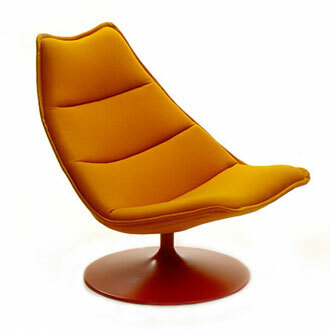 This comfortable shell seat, designed by Geoffrey Harcourt, introduced a new business-like character that penetrated to the homes of people with a taste for style. 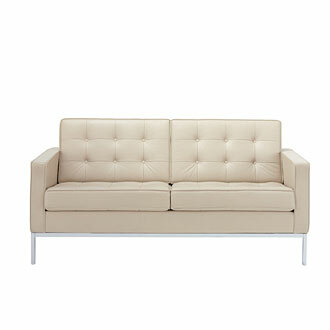 Its refined simplicity, austere functionalism and sheer swanky charisma have charmed us to no end. 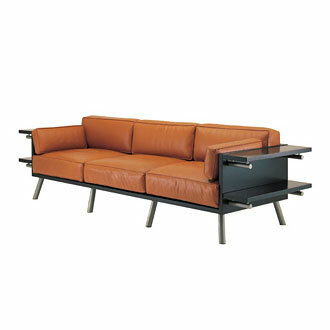 The F585 with metal base is pleasantly futuristic but, at the same time, nostalgic. 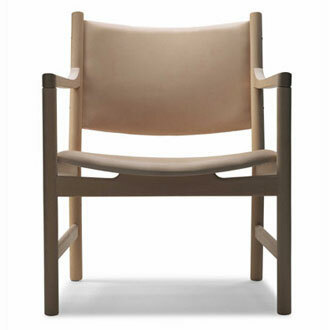 A chair that both Dr. 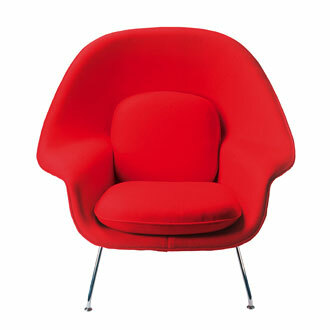 Evil and Austin Powers could agree on. 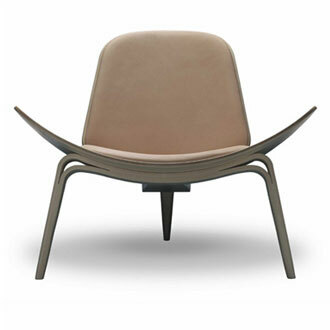 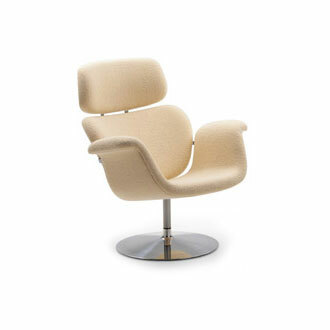 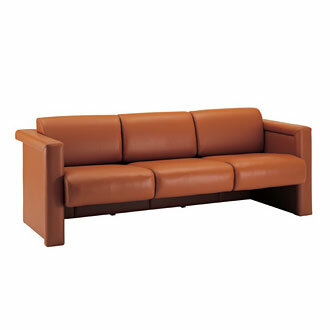 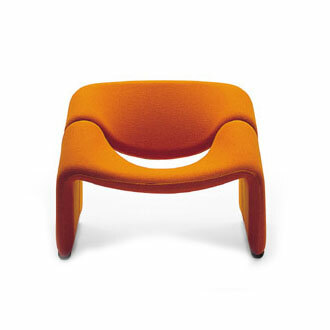 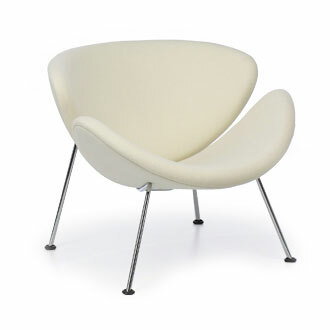 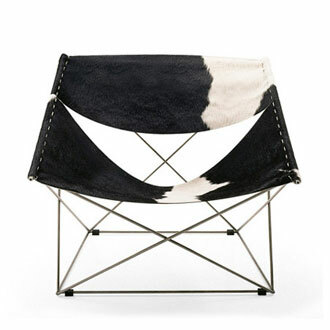 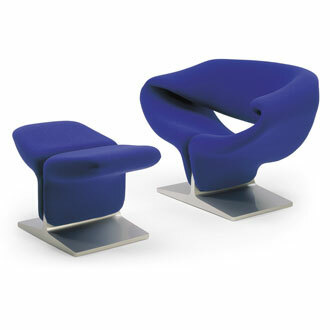 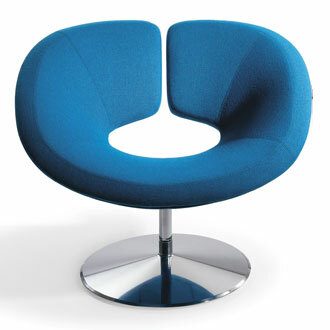 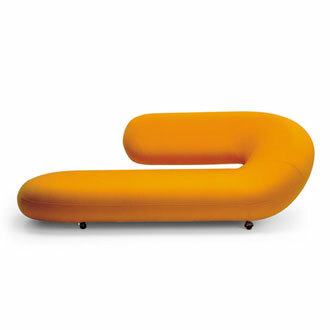 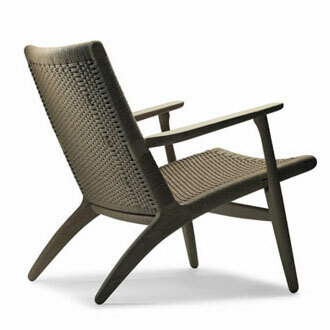 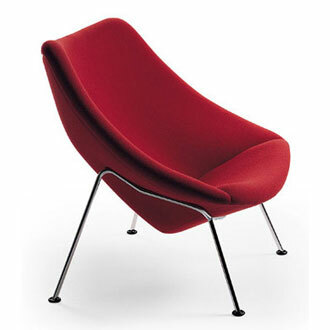 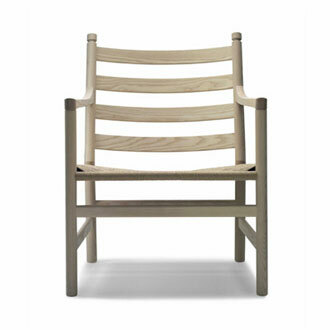 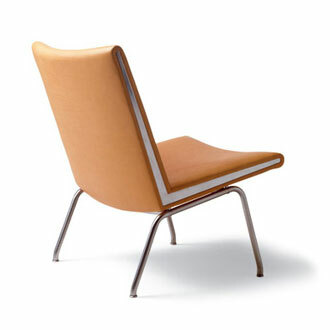 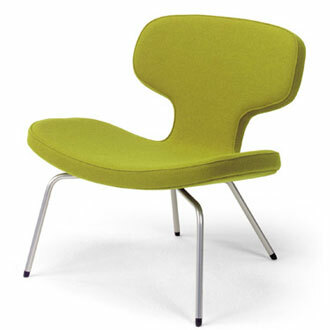 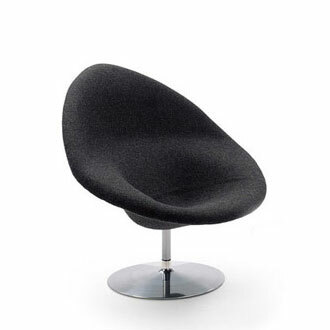 Available with either a white, black or brushed metal base in a variety of upholstery options.